Hungarian composer Franz Liszt (1811 – 1886) was a key figure in the development of Western music. Mostly remembered today for his legendary virtuosity and his notoriously challenging piano pieces, he was also a prolific composer, a teacher and a conductor with profound influence on subsequent composers such as Hector Berlioz, Edvard Grieg and Richard Wagner (who also married Liszt’s daughter Cosima). Perhaps one of his lesser-known works is his Missa Solemnis “Graner Mass”, composed for the occasion of the confirmation ceremony of the then still incomplete Basilica of Ezstergom (home to the Hungarian Archbishop in the Diocese of Gran) on August 31, 1856. I was completely unaware of Liszt’s sacred choral music until I bumped into a relief on the wall of the Mozes en Aaronkerk church in Amsterdam some days ago. 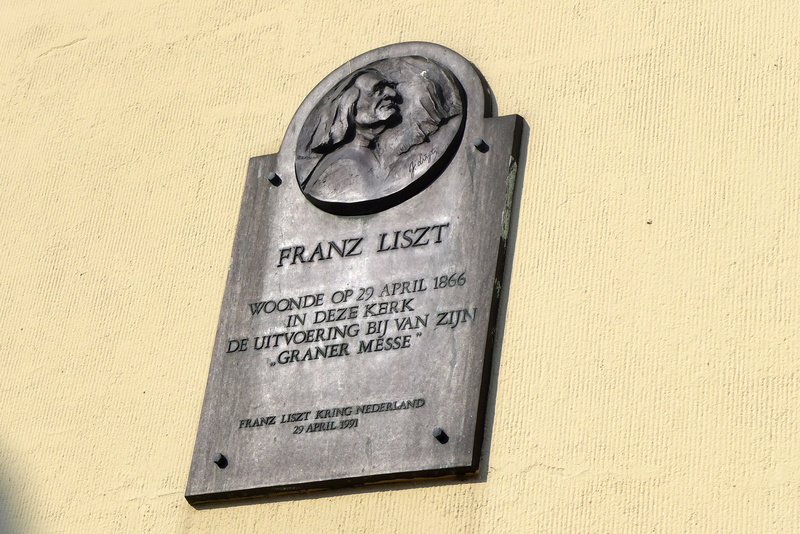 From its inscription I was informed that Franz Liszt attended a performance of his “Graner Mass” inside that very temple on April 29, 1866. It was a pleasant surprise, and one that led me to discover Liszt’s obscure Missa Solemnis. I had been in Waterlooplein countless times in the past to check the excellent outdoor flea market and browse through the various clothes, antiques or records, but had never paid attention to that small relief on the church wall right on the edge of the square. It always feels nice, and sometimes extremely rewarding, to be a tourist in your own city. 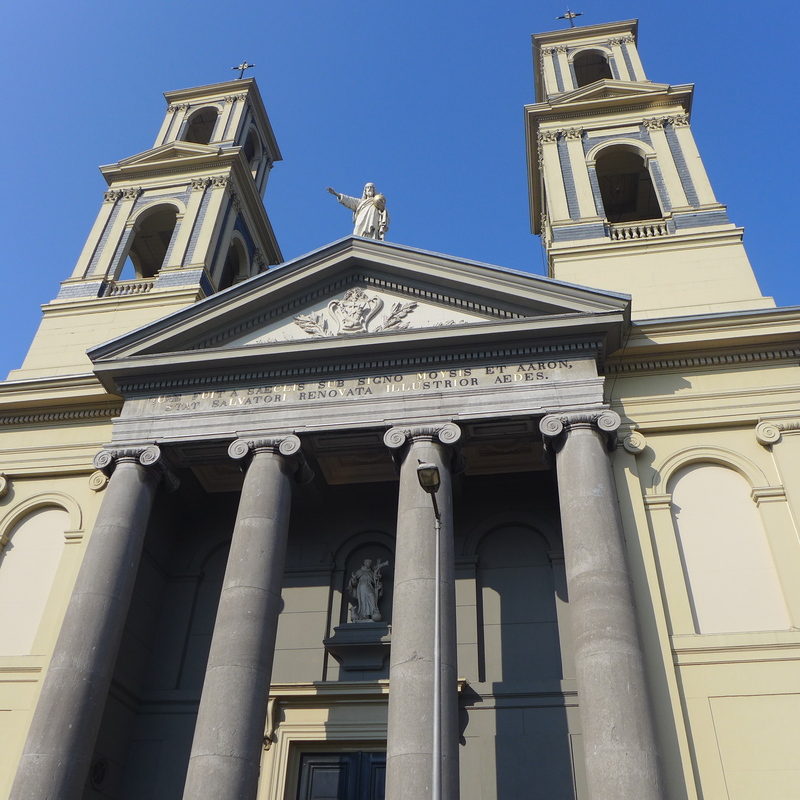 This entry was posted in Various and tagged Amsterdam, Liszt, Missa Solemnis, religion, religious music, sacred music, Waterlooplein on August 24, 2013 by The Muser.